Should We Use Personal Equipment? Have you used your own equipment on calls? I have seen many providers use their own glucometers, Sp02 detectors and even CO detectors. Can this open you up as an individual to liability if the device fails or malfunctions? 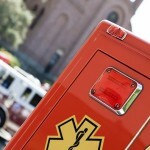 Have you used your personal equipment on the ambulance? Is it sanctioned by your agency? Post your thoughts below. This week I had some microphone issues. aka – I had it muted by mistake. LOL. So I edited that part out and answered some questions on pediatric dosages within the NYC REMAC protocols and Community Paramedics. Thanks for the questions Leon and Heather. Be sure to post your comments below and submit your questions for next week. I promise you will hear my voice while my lips move the whole time.